Something new with quests box but actually this one is not really that new to bitLanders. 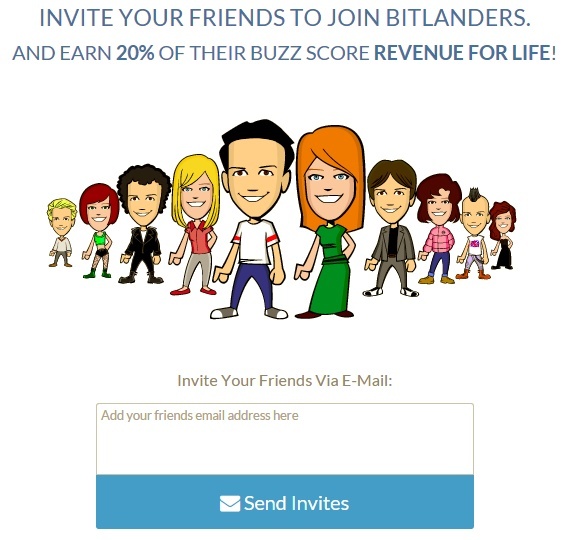 If you are an old member, you must have known that bitLanders gives buzz points for those ones who has referrals coming from Facebook. I had been actively persuading my FB friends and family members to join because of the +5 buzzes but then two months ago or so, Facebook invite has been taken down for some reasons. 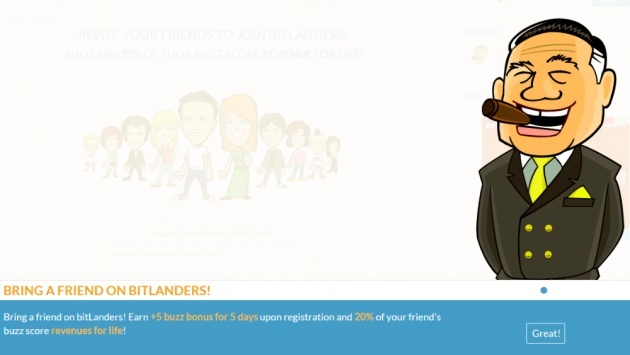 Well then from that time on, I had stopped referring friends but then I am surprised to see that bitLanders has made a new way to let us get additional five buzzes again minus Facebook. I guess I am up now for referring friends again! Nag-invite ako kaso walang epek. Anu kaya un? Haistt..
nag invite ako pero hindi man gumana sakin sis. .